Five of country music’s most talented newcomers are vying for this year’s CMA New Artist of the Year Award. Winning the CMA New Artist of the Year Award is more than a nice feather in your cap—it’s a pretty accurate barometer of future country music success. Since the inception of the award in 1981—when it was known as the Horizon Award—a who’s who of country music luminaries have won the trophy, including Ricky Skaggs (1982), The Judds (1984), Randy Travis (1986), Garth Brooks (1990), the Dixie Chicks (1998), Keith Urban (2001) and Carrie Underwood (2006). When the prize was renamed the New Artist of the Year Award in 2008, Lady Antebellum was the first artist/group to take home the accolade, followed by six more acts that are currently living up to their newcomer hype, including Darius Rucker (2009), Zac Brown Band (2010), The Band Perry (2011), Hunter Hayes (2012), Kacey Musgraves (2013) and Brett Eldredge (2014). 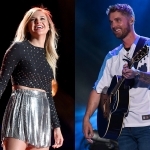 While this year’s nominees—Sam Hunt, Kelsea Ballerini, Maddie & Tae, Thomas Rhett and Chris Stapleton—are all worthy of the award, only one will be crowned the New Artist of the Year, which honors the artist or group that has demonstrated significant creative growth and development in overall chart or sales activity (of a debut or sophomore album), live performance, professionalism and national media recognition related to the launch of their career. In this special cover story, the NCW staff breaks down the accomplishments of each nominee to give you an inside look at their claim to the title. You may not get a vote, but you can sure voice your opinion on social media before the award is handed out on Nov. 4 at the 49th annual CMA Awards. With credentials like that—and a voice that’s as dark and gritty and beautiful as a slab of coal from his home state of Kentucky—Chris’ debut solo album, Traveller, which dropped in May, was a welcome throwback to the days of Willie, Waylon and the boys. The 14-song offering, of which Chris co-penned 12, is a cross-country journey of varying speeds, bookended by the optimistic title track that starts the trip and the live recording of “Sometimes I Cry,” which serves as the road-weary destination point. In between, Traveller is full of hard drinking (“Whiskey and You”), good women (“More of You”) and bad choices (“Nobody to Blame”) that highlight Chris’ compelling songwriting, musicianship and vocals. While the album received virtually no radio airplay compared to the works of his fellow New Artist of the Year nominees, critics took notice, dubbing it one of the best albums of 2015. And that’s why he also picked up CMA nominations for Album of the Year and Male Vocalist of the Year. 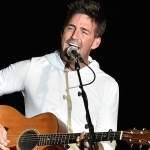 Traveller also netted Chris one of the final musical appearances on The Late Show With David Letterman and a slew of spring and summer tour dates with Eric Church and Little Big Town. He may not have a single in the Top 20 and he’s not exactly “new,” but Chris Stapleton is breath of fresh air to the bro-loving, pop-doting albums of 2015. 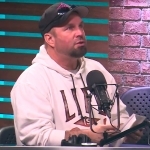 Chris is no longer lurking in the shadows. The country throwback is front and center in 2015, and he may just be the one who helps usher in the next wave of talented old-school artists. Poor bro country. It was probably just too buzzed on PBR and preoccupied with building a bonfire on the creek bank (safety first, kids!) to see it coming. Masquerading as another bubblegummy country tune with some hip-hop touches, Maddie & Tae’s “Girl in a Country Song” was like a sneak attack from the world’s two most giggly muggers. One by one and with sniper-like efficiency, Maddie Marlow and Tae Dye took down all the misogynistic, knuckleheaded clichés (painted on jeans, bare feet, being called “honey”, etc.) being churned out by their peers—even being so bold as to sneeringly reference several of those songs. It seems insane that this was the debut single for a pair of then-teenaged girls—had it happened six months earlier, it could have been disastrous on all fronts. But as it was, attitudes were open to the possibility of a shift and “Girl in a Country Song” was like survey, demolition and construction crew all rolled into one. After it hit No. 1, then came the hard part for Maddie & Tae: proving they were more than a novelty group with a clever song. That might explain why follow-up single, “Fly,” has been such a slow crawl to reach the top 10. As a slowed-down ballad about overcoming fear and doubt, it was completely different than “Girl in a Country Song” but left no doubt about Maddie & Tae’s deep country roots. Furthermore, it hinted at the wide range of their songwriting—capable of commenting on love, friendship, self doubt, growing up and the state of country music with astonishing clarity. All that and more shows up on the duo’s recently released debut album Start Here, which made a nice showing at No. 2 its first week available for purchase. For anyone who wondered if the pair was some fabricated product from the house of Scott Borchetta (seeing as how he was involved), they spent spring and summer blowing minds on Dierks Bentley’s Sounds of Summer Tour, singing those Tae-arranged, plus perfect harmonies without the assistance of autotune. Let’s face it: bro country didn’t stand a chance. Sam put on full display the elusive, surprising character of his artistry with that tune—even though it was about staying out late and having a good time, it wasn’t the standard template of moonshine and tailgates that was so popular with radio. It was wildly futuristic for country production (in that it favored drum loops and synthesizers to steel and banjo) yet the lyrics had a sense of wordplay and detail about small town life that owed much to bedrock country songwriting. Discussions about Sam—tall and athletic, but dressed in bold pastels and whites—were often heated in the way that political discussions around the family dinner table get heated. Is he country? Is he a pop artist masquerading as country? Where are his boots? None of that really seemed to matter in the long run, however, because Sam has made significant inroads in both worlds since the release of his debut album Montevallo in October 2014. That collection, which includes the hits “Take Your Time” and “House Party” along with “Leave the Night On,” hasn’t left the top 5 of Billboard’s Country Albums chart since then. Its first three singles have topped the country charts, of course, but also landed inside the top 40 of Billboard’s all-genre Hot 100 chart. The gritty video for “Take Your Time” doubled as a statement on domestic violence and though that song’s breathy, spoken verses owed as much to rap as country, it painted a vivid narrative of the encounter. So while he’s clearly not Conway Twitty reincarnate—the most outspoken critics see him as an interloper—Sam still has the country bona fides. Look no further than “I Met a Girl,” the super traditional new single from hat act William Michael Morgan that was co-written by Sam. There isn’t anyone else quite like him, and years from now we may still be seeing artists playing catch up. In light of recent developments, you can easily say that the 21-year-old Kelsea has wielded a mighty cultural impact. She became the first female solo artist to hit No. 1 with a debut single since Carrie Underwood accomplished the feat in 2006 with ‘Jesus, Take the While.” Kelsea’s success grew into a rallying cry for all young female artists, as she snapped the string held by male artists and briefly ended the dominance of so-called “bro country” fare on the charts. Her No. 1 chart success came in the wake of what was occasionally referred to as “Salad Gate” by industry insiders. 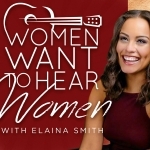 The controversy was stirred up by a well-known radio programmer, who recommended that radio stations play fewer songs by women. Female artists, he went on to expound, were the “tomatoes” on the buffet table of radio airplay. “They’re just not the lettuce in our salad,” he further noted, setting off a firestorm of protest. Kelsea’s timing could not have been more perfect or certainly more satisfying for the female contingent. Kelsea’s follow-up single “Dibs” appears to continue the momentum built by “Love Me Like You Mean It.” It was the most-added song at radio during its release week, indicating that programmers are fully on board with Kelsea. It likely also means that she’s grabbing the attention of male listeners along with the somewhat built-in female core audience. And Kelsea has parlayed that early success into career gold. 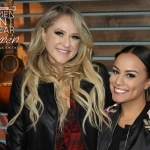 In addition to her Country Music Association award nomination for New Artist of the Year, Kelsea also picked up a nod for Female Vocalist of the Year, one of the major CMA honors. It’s as if she skipped the middle portion of the career arc and went straight to the head of the class. As far as musical direction, Kelsea sound, while not exactly pioneering, is a pleasing amalgam of country and pop styles. There may be a bit more country to Kelsea’s voice, owing to her East Tennessee roots. 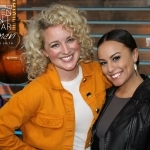 Her music, particularly in the case of “Love Me Like You Mean It,” takes an assertive stand without sounding overly aggressive, an approach that would seem to serve her well across the board. And though this may have more to do with cosmetics than real aesthetics, it doesn’t hurt that Kelsea neatly combines a girl-next-door appeal with a model’s glamorous looks. Kelsea struck a victorious blow for females this year. As she grows and evolves as an artist, she’ll likely continue to pack a loud and resounding wallop. First album, It Goes Like This, debuted at No. 2 on Top Country Albums chart and in the Top 10 of the Billboard 200. Co-headlining the Suits & Boots Tour with Brett Eldredge this Fall. It was a balancing act for Thomas Rhett to make his debut in country music—he had to figure out how to carve out his own niche without denying his obvious musical lineage. But he did it, proudly fielding questions from inquiring media about his country star father, Rhett Akins. In doing so, Thomas Rhett made it clear that he was pursuing country music as well, but he was doing it his way. 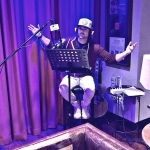 Tapping into the diverse influences of his youth—including urban, pop, rock, R&B and, of course, country, TR has created his own hybrid musical style. 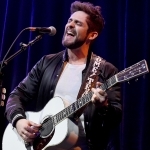 Early in his career he may have been given the benefit of the doubt because of his daddy Rhett’s red hot songwriting career, but Thomas Rhett quickly stood alone as a songwriter and as a high-energy performer on tours with Lady Antebellum and Florida Georgia Line in early 2015. Thomas Rhett’s debut album, It Goes Like This, produced three No. 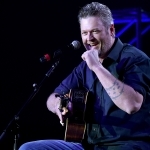 1 singles (“It Goes Like This,” “Get Me Some Of That” and “Make Me Wanna”), making him the first male artist to mark that accomplishment in over two decades, and the Chris Stapleton-penned “Crash and Burn,” from his sophomore album, Tangled Up, recently became his fourth chart-topper. Though he’s ACM and CMA “New Artist” nominee, Thomas Rhett revealed he doesn’t take anything too seriously by appearing in Zaxby’s commercials with pal (and 2014 New Artist of the Year winner) Brett Eldredge, but the chemistry between the pair is undeniable. CMT spotted that and awarded T-Rhett, as he is affectionately called, a co-headlining spot with Brett on the upcoming Suits & Boots Tour.